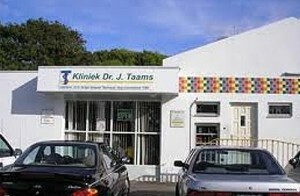 WILLEMSTAD – The moment of truth is approaching for the embattled Taams Clinic. The court gave the clinic till the end of this month to find a solution to its financial problems. Two investors had shown interest. According to the Director of the clinic, Dr. Earl Esseboom, the investors are still interested in the clinic. However, they are still analyzing how they will cover the debts of the clinic. The Taamshas been able to continue providing health care and fulfil its social and tax obligations. This is why the debts have not increased any further. What is still missing is the investments for the future, says Esseboom. However, a start has been made with the reorganization of the workforce. That should be reduced by one third, thus from 152 to around 100 employees.